Challengers! How did your reading go this month? Did you find a gem? Or was the month a clunker for you? 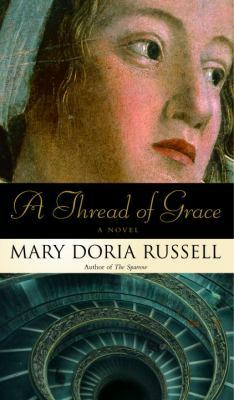 I read A Thread of Grace by Mary Doria Russell. 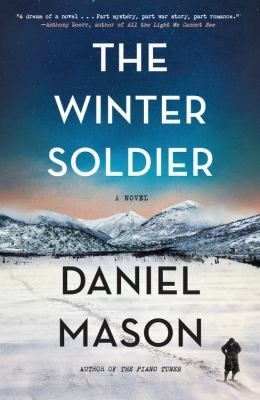 It is quite good, a can’t-put-down, I’m-still-thinking-about-it that follows a lesser-known part of World War II. It’s also pretty grim and includes some gruesome scenes. It’s not a light read, but it is well worth the effort. It’s 1943. Mussolini has been defeated and Italy has broken with Germany and made peace with the Allies. Thousands of Jewish refugees struggle over the Alps, away from Eastern Europe toward what they believe will be a safe place to wait out the war. 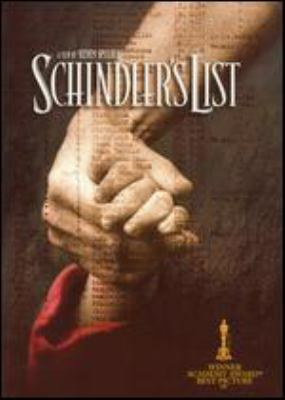 Instead, they discover that the war is still very much present in Italy with the Nazis’ arrival, the Resistance battling them, Jews forced to flee or go into hiding again and ordinary citizens simply trying to survive. The Nazi rule is harsh and unrelenting – anytime a German soldier is killed by a Resistance fighter, 20 (or more) citizens are killed in retaliation. Sweeps are enacted regularly searching for hidden Jews or Resistance fighters; any that are found are killed or deported (to death camps) as are those that hid or aided them. Food and fuel are scarce. And then the Allies begin bombing the tiny villages and towns in an effort to break the weakening German Army. A Thread of Grace follows a variety of people living in this Italian valley including a priest, a Resistance leader, an Italian Jewish family, a German doctor, Eastern European Jews who have fled to Italy, an Italian soldier and several Catholic nuns. Each has suffered great losses and struggle to continue against impossible odds. There is despair and sorrow and anger, but there is also fellowship and kindness. The Italians, whether Jewish, Catholic or atheist, open their homes to the Jewish refugees without hesitation, often risking their own lives, hiding, feeding and clothing them with no expectation of repayment. You get a real sense of what the war meant in this Italian valley – the desperation, the randomness, the cruelty. The kindness of strangers is breathtaking – Italian soldiers helping the refugees over the mountains by carrying their luggage or a tired child, nuns hiding orphan refugee children among their other charges, helping a sick German doctor, a deserter, even though he has caused thousands of deaths, and confusing and distracting soldiers at checkpoints to smuggle someone past. Although this is fiction, Russell spent several years researching this part of the Italian campaign. It has often been overlooked once the Allied invasion began and attention shifted to Normandy and France. In fact, the war continued in Italy, with a devastating toll, until May 1945. I did have some trouble keeping the large cast of characters, hailing from various families and nationalities, straight but there is a list of the major players at the beginning of the book. This book is often difficult to read, but it is well worth the effort, an eye-opening look at both the worst and the best of humans. Now it’s your turn. What did you read this month? It’s a new month and that means it’s a new theme for the Online Reading Challenge! Will the excitement ever end? This month our theme is Religion. Religion can be controversial, but it can also be fascinating. Religion has shaped cultures, history, art and philosophy. Religion influences all of our lives, whether we’re a devoted practitioner or not. You might take this month to read a book that describes a religion you’re unfamiliar with, or a historical perspective of one you are familiar with. 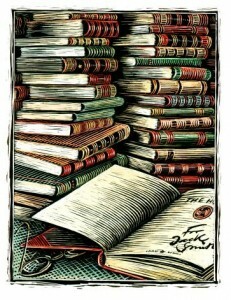 Or read something fun and cozy – the choice is yours! You don’t have to choose a book that is strictly about religion (although you can if you want) but look for something where religion informs the story. One of my all-time favorite books is The Chosen by Chaim Potok. I grew up in a small, rural Iowa town where 90% of the population was Protestant. Even Catholics were “exotic” to my childish mind and Jewish people simply unknown. The Chosen opened my eyes and my imagination, not just to different religions (both Orthodox Hasidic and Modern Orthodox Jews are part of the story), but to a different world – 1940s Brooklyn, intellectual curiosity and dedicated faith. Beautifully written, this now classic story of two boys and their fathers is a don’t miss. Its universal themes of family, faith, love and loyalty will resonate with everyone. The Poisonwood Bible by Barbara Kingsolver follows the harrowing story of an over-enthusiastic Evangelical Baptist missionary and his quest to convert (“save” in his opinion) the native people of Belgian Congo in 1959. Told from the point-of-view of his wife and four daughters, this polarizing book will cause you to question many entrenched beliefs. The storyline is gripping, bittersweet and can’t-put-down. I thoroughly enjoyed Charles Lovett’s The Lost Book of the Grail, about a couple’s search for a lost treasure. The book juxtaposes the timelines of what actually happened at the English abbey to what Arthur and Bethany are discovering in the present. For fans of The DaVinci Code (which would also qualify for this month’s reading challenge) but with much less torture and bloodshed. There are several classics worth picking up now if you haven’t yet such as Death Comes for the Archbishop by Willa Cather. Go Tell it on the Mountain by James Baldwin and The Diary of a Young Girl by Anne Frank. Prefer something light? Try the Mitford series by Jan Karon about a pastor in an idyllic country town. Other modern favorites include The Red Tent by Anita Diamant, The Kite Runner by Khaled Hosseini, A Prayer for Owen Meany by John Irving or Breath, Eyes, Memory by Edwidge Danticat. Be sure to check out the book displays at each Davenport library building for lots more suggestions. I’m planning to read A Thread of Grace by Mary Doria Russell which is about a family of Jews escaping over the Alps to Italy in 1943. It promises to be a multi-faceted look at the Italian front during World War II. Now it’s your turn – what will you be reading this March? We’ve finished up another month of the Reading Challenge. How did your month go reading-wise? Did you find something wonderful or was this an off month for you? 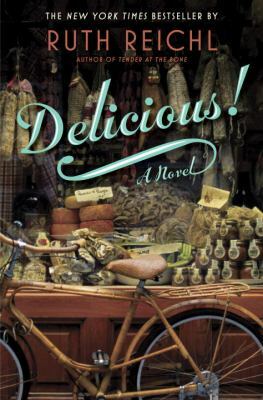 I read – and enjoyed – Delicious! by Ruth Reichl which follows the adventures of Billie Breslin. Billie has fled California and moved to New York City, taking a job as an assistant at the beloved food magazine Delicious. At first hesitant and lonely, she soon makes friends from among the colorful characters working at the magazine. They in turn introduce her to the hidden gems of food shops and markets that populate the neighborhood. Out from under the shadow of her sister, Billie begins to blossom and thrive. However, all is not well at Delicious. One day the “suits” crunch the numbers and decide to shutter the magazine, leaving everyone out of a job except Billie, who agrees to stay on and answer any incoming correspondence for the next few months. Alone in the old mansion that served as the offices and kitchens for Delicious, Billie stumbles across a secret. A secret that might save the mansion and open new opportunities for herself. Reichl was the last editor-in-chief of the now defunct Gourmet magazine and is a well-known food writer, including having published several critically acclaimed memoirs. Her writing about food and the rituals and joys of eating and sharing food are exquisite. I must have gained five pounds just reading her descriptions! Reichl’s ability to evoke not only the flavor of the food, but the ambiance of where and how it was created is astonishing. Food is shown as a form of love and fellowship, bringing people of diverse backgrounds together. While I enjoyed Delicious! a lot, I felt that the characters weren’t always well-developed. In addition, there seemed to be an awful lot of mysteries – 6 or 7 at least – which made the book feel choppy. (And, quite frankly, her idea of how libraries work is bizarre!) However, the mysteries were intriguing and I wanted to keep reading to find out what happened! Instead read this book for its evocative descriptions of food and New York City neighborhoods. How did your reading go this month? Did you find something wonderful? When I was pulling books for the displays this month I noticed that many food themed titles also had a lot to do with family and crossing cultural barriers. Food, good food prepared with care, has a way of uniting us. What did you discover this month’s? How is the month of February going for you challenge-wise? There have certainly been plenty of snow days which invite lots of cozy reading and movie watching. Unfortunately, it also requires a fair amount of shoveling and scraping-off-the-car time too! If you’d like some more suggestions for this month’s Food theme, how about trying a movie? There are some great ones! Ratatouille – Rats in the kitchen is not appealing at all, but somehow Disney makes it adorable. Animated. The Hundred-Foot Journey starring Helen Mirren. Can two very different restaurants learn to exist across from each other? And even learn from each other? Chef starring Jon Favreau. A discouraged, out-of-work chef starts a food truck allowing him to regain his creative purpose as well as his estranged family. Burnt starring Bradley Cooper. A chef who had it all then loses it because of his reckless lifestyle attempts a comeback. A great look at the chaotic professional kitchen. Food, Inc – A hard look at the industrialization of our nation’s food supply and how it’s affecting farmers, consumer health, worker safety and our environment. Welcome to the 2019 Online Reading Challenge! It’s January – that means it’s the start of a new Online Reading Challenge! I hope you join us whenever and however you can. As in the past, this is a low-key, no-pressure book club. Each month we’ll explore a new theme through books. 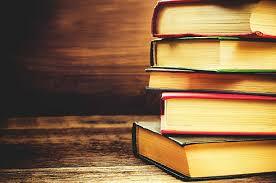 You can read old-fashioned paper books or new-fangled ebooks, listen to audio books, even watch relevant movies! Remember, there are no Library Police! Read whatever catches your interest. There is also no penalty for skipping a month or not finishing a book by the end of the month. The goal of our Online Reading Challenge is simply to find great books to read/listen to/movies to watch! This year the Challenge is called “r e a d” (although yes, movies still count!). I’ve chosen a variety of general subjects, topics that touch on all of us throughout our lives – like family, art, and the world around us. Each month I’ll suggest titles (both fiction and non-fiction) to get you started and there will be displays at each building with even more. The topics can be explored from a variety of angles – serious to light, historical to current events. How you approach each month is entirely up to you! And don’t forget to pick up a bookmark/book log at the library to help you keep track of your reading progress. For a complete list of this year’s topics, check out the 2019 Online Reading Challenge Page. So, let’s get started! January’s topic is Medicine. Everyone has had to deal with the medical field at some point, even if you’re healthy as a horse and rarely need to see a doctor, health and fitness is important to everyone. Titles to read in this subject can vary widely – fiction and non-fiction, light or scary, physical health or mental health, the field is wide open. Here are a few ideas to get you started. For serious non-fiction, take a look at Bellevue by David Oshinsky about the infamous New York City hosipital or the acclaimed book The Immortal Life of Henrietta Lacks by Rebecca Skloot which delves into bioethics and informed consent. Pandemic 1918 by Catharine Arnold looks at the devastating “Spanish Influenza” which killed millions. When Breath Becomes Air is written by physician Paul Kalanithi after he discovers he has terminal cancer while In an Instant by Lee Woodruff looks at how traumatic brain injury affects both the individual and their family. Still Alice by Lisa Genova delves into dementia while Silver Linings Playbook by Matthew Quick examines mental health. It’s not all grim and scary though; books in this subject are often uplifting and optimistic. Try The Midwife by Jennifer Worth about young nurses working in 1950s London as midwives to the poor. Or read something from the Irish Doctor series by Patrick Taylor about a country doctor living in a small village of eccentric personalities. And James Herriot’s charming All Creatures Great and Small books, set in Yorkshire, England never disappoint (hey, I know he’s a vet treating animals but it’s still medicine!) If you prefer to be kept awake at night, reach for Robin Cook’s medical thrillers. 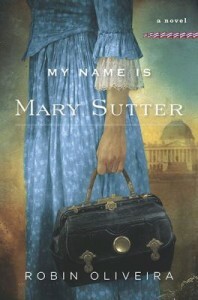 I’m going to read My Name is Mary Sutter by Robin Oliveira which is about a young woman who dreams of becoming a surgeon. Set during the Civil War, she must overcome the prejudices against women in medicine while working to help the thousands of wounded soldiers. The time period and story line both sound interesting to me and I’m looking forward to reading it! Now, what about you? Will you be joining us this year? What will you read in January? How is your December reading going? This can be a difficult month to squeeze in some reading time with so many holiday obligations taking up our time and attention. Think of reading as your “me time”, a way to take a break from the stress and chaos that often accompanies the fun stuff. I am zooming right along with my December pick, The Rosie Project by Graeme Simsion. It’s been a fun read so far and I have should have no problem finishing it soon (thus avoiding another Epic Fail!). Still looking for something to complete the December challenge? Remember, movies are allowed too which opens up a huge variety of choices. Grab a favorite rom-com – While You Were Sleeping, You’ve Got Mail or Love, Actually. Or go for an action movie like Bourne Identity or Ocean’s Eleven. And many current and recent television series are set in the present – check through the library’s collection for titles like Friends and Law and Order and many more. Just remember – indoor plumbing? Yes. Flying cars? No.